Bon Marché has invited the House of Finn Juhl Paris for a special exhibition from 1st to 30th April, to coincide with the 75th anniversary of the mythical Pelican chair and two new editions that Finn Juhl will present at the Milan Furniture Fair this year, by the Danish manufacturer Onecollection, including the Reading chair designed in 1953 (photo above). The Pelican chair is celebrating its 75th anniversary! Since 1940, the small organic armchair has won the hearts of several generations of purchasers who prize its comfort and sensuality. 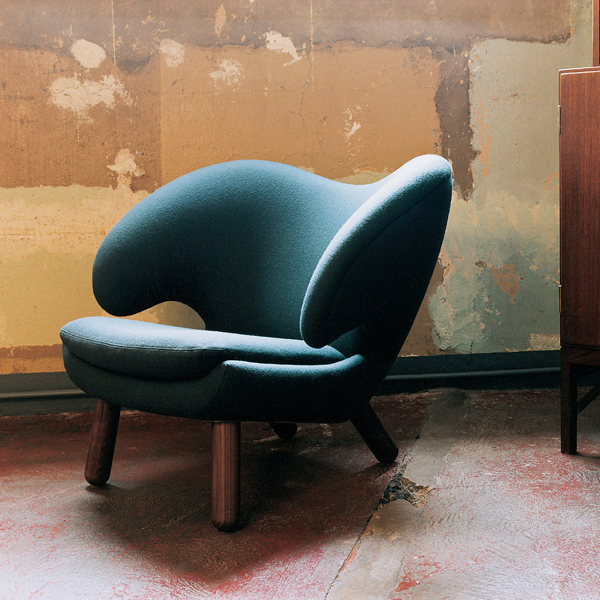 Enticing and sculptural, the curved Pelican is one of those modernist icons that has joined the ranks of pieces capable of retaining their dynamic qualities throughout the century. Still comparing favourably today with the most prestigious and contemporary creators. A special edition covered with a fabric designed by the Danish artist Asger Jorn will be launched on this occasion. This spontaneous and joyful entanglement of motifs called Macbeth (1942) is most likely the sketch of a painting. 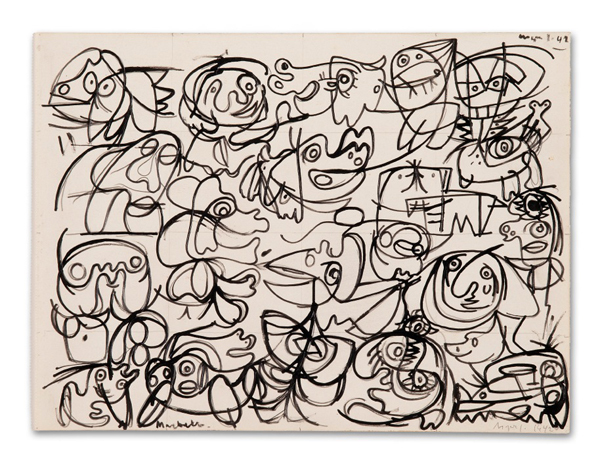 This visual artist worked notably with Le Corbusier. He considered painting and writing as one and the same discipline devoted to producing symbols. Reading Chair. 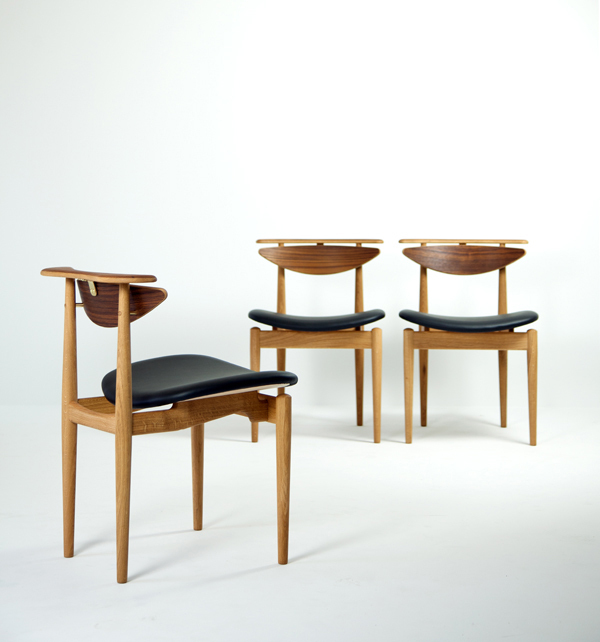 In 1953 the architect Finn Juhl designed a small elegant dining chair for the company Bovirke. The chair is called “Reading Chair” because of the horizontal frame, ending the back. The Reading Chair is very comfortable and allows many seating possibilities which is typical for the Finn Juhl’s furniture. You can even sit backwards on the chair resting the arms on the frame.The Reading Chair is made in oak with back and frame in either teak or walnut. 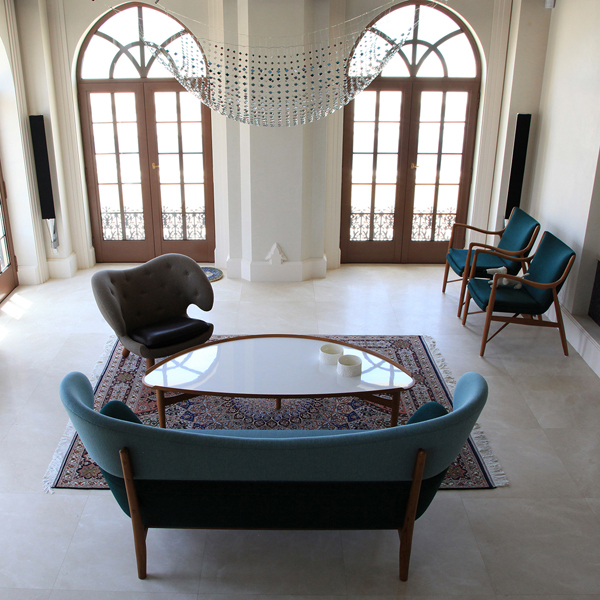 The seat is upholstered with fabric or leather. Furthermore a black stained version of the chair is also available. Along with Arne Jacobsen and Hans Wegner, Finn Juhl (1912-1989) is one of the forefathers of Danish Modern style that made this country the leading nation in terms of domestic furnishing from the 40s to the start of the 60s. Finn Juhl’s “leg” is characterized by a resolutely sculptural approach, a result of the right balance between modernist precepts and artisanal know-how, between functional and organic lines. Influenced by the Dadaist painter and sculptor Jean Arp, his first pieces like the Pelican chair (1940) and the Poeten sofa (1941), are shifts in style that have since become fully-fledged landmarks in Danish history and heritage alongside his famous Chieftain chair (1949). The noble materials combined with the radical organic forms of this furniture concoct a veritable feast for the eyes, with unrivalled user comfort that has traversed the decades. Finn Juhl, who graduated in architecture from the Royal Academy of Arts in Copenhagen in 1934, intervened in all areas of construction. He may be famous for his furniture, but he also completed many interior design, as well as product design projects including IBM typewriters. He experienced a truly large-scale commercial success in the United States with furniture designed for the company Baker combining his style with traditional materials and a very large-scale production. 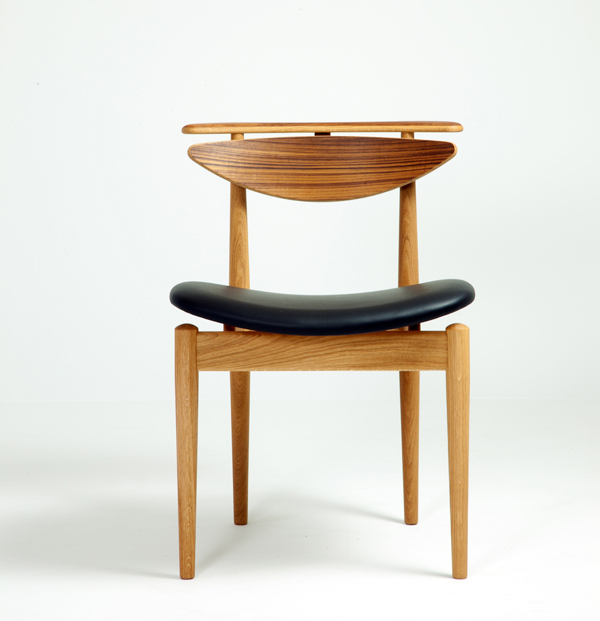 Awarded by several accolades including 5 gold medals at the Milan Furniture Fair in 1954 and 1957, as well as the American Institute of Design Prize in 1964, Finn Juhl died in 1989. 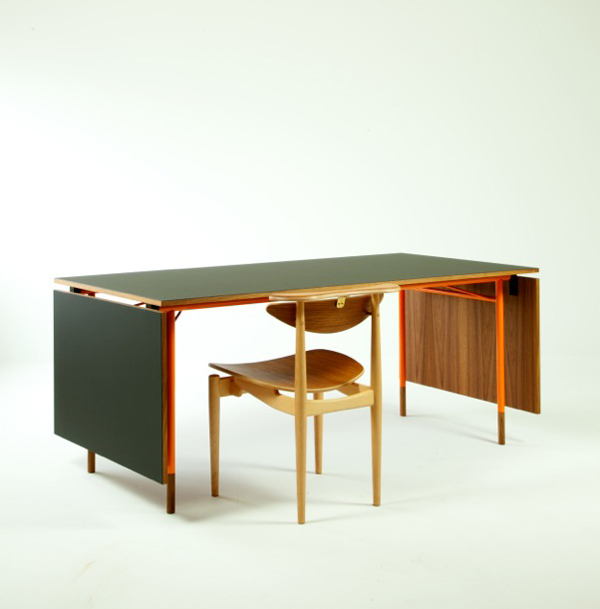 Almost all of his pieces are today reissued by Onecollection (Denmark) and distributed in France by Triode, the “House of Finn Juhl in Paris”. Exhibition produced in partnership with Jacques Barret, founder of Galerie Triode, the only agent of the House of Finn Juhl brand in France.